Life Membership is the highest honour that QORF can bestow and Life Members will be held in the highest esteem. QORF is sad to announce that long term QORF member Rob Simson passed away at St Vincent’s Hospital on Sunday 15th July. Rob was made a QORF Life Member in 2010 for his long involvement and support of the outdoor sector in Queensland through outdoor education, orienteering and the development of the OEAQ. A retired geography and OE teacher and Principal, Rob Simson’s passion for landscapes, environment and experiential learning saw him become a pioneer of Outdoor Education in Queensland. He was instrumental in: the introduction of environmental studies into the Queensland Secondary geography curriculum; leading some of the first school excursions into Carnarvon Gorge; the establishment of Queensland’s first dedicated Outdoor Education Centre at Maroon Dam (MOEC), the formation of Outdoor Educators Association of Queensland and the development of the sport of orienteering in Australia. Widely admired for his years and breadth of service, QORF was thrilled to honour Rob with Life Membership in 2010 in recognition of his services to outdoor recreation in Queensland. 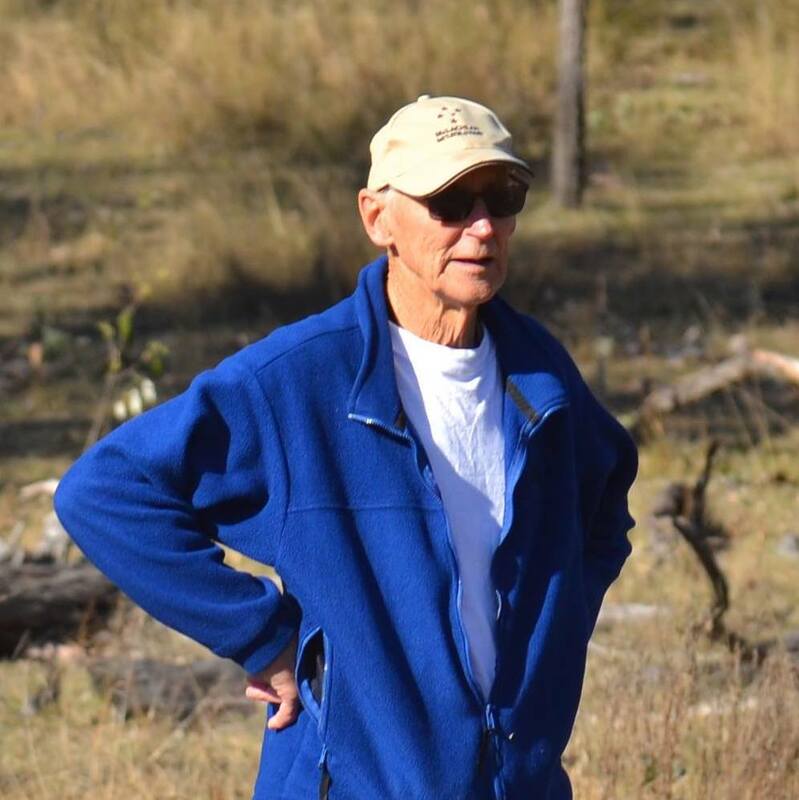 Read on to be inspired by his amazing accomplishments that include publishing three books and still, at 80, setting routes for the Australian Orienteering championships. Initially trained as a geography teacher, Rob was one of those teachers who went above and beyond. While teaching at Mount Gravatt High School he led the school bushwalking club and each year, every Easter, long week-end and for a week in August he would take students on trips to places such as the Whitsundays, Warrambungles and Mt Kaputar. In 1966 he led the second High School into Carnarvon Gorge after Monty Morris from Salisbury High went there in 1963. This was followed by two trips in 1969 and 1972. “My knowledge of the area came through my membership of the Royal Geographical Society of Queensland, which in the 1930s and 1940s had done much to publicise the newly declared Carnarvon National Park (1932). The 1970s were a busy period for Rob. In the early ’70s he became Chairman of the Queensland Geography syllabus committee where they introduced an environmental strand into senior geography. In 1973 he was instrumental in securing the Maroon Dam Construction Village as Queensland’s first dedicated Outdoor Education Centre, which celebrated its 40th anniversary in 2015. During 1974 and 1975 Rob led three more student expeditions to the Carnarvon ranges as part of Project Arcadia, made possibly by a federal grant. He also did a six-month secondment at the University of Queensland as a Geography lecturer. That same year Rob started orienteering in Queensland and was a foundation member of the Toohey Forest Orienteering Club in the southern suburbs of Brisbane. He has been committed to the sport ever since, contributing in a substantial way as a mapper, competitor, event official and coach. 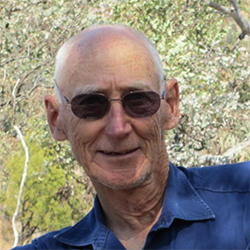 Rob was also a founding member of Outdoor Educators Association of Queensland (OEAQ) when the organisation was formed in 1981.The following year year he organised the third National Outdoor Education Conference at MOEC, securing Colin Mortlock from UK as the Keynote speaker. OEAQ honoured his services to the organisation by making him a Fellow in February 1992. After serving as Principal at MOEC he was Principal at Holland Park State High, Oakey Statey High School and Redbank Plains High School before retiring. It will be his fourth book after Banksia: A Kangaroo’s Tale; Cave Hill; and To and From God: A Memoir of Finding and Losing Faith, as well as geography text-books earlier in his life. 1. The Project Arcadia innovations program 1974-5 – three expeditions in the Carnarvon Ranges, which I organised with Paul Feeney. “I was delighted to win a School’s Commission Educational Innovations Grant offered by the Whitlam Government in the 1970s. It paid for me to recruit three different parties of senior secondary students and take each group of 30 for ten days trekking and exploring in the Carnarvon Ranges. “In 1973 when I worked at Mount Gravatt High as a Geography teacher a parent told me that the construction village at Lake Maroon was going to be abandoned. We thought it would make a good site for an Outdoor Education Centre. With my Mt Gravatt Principal, I wrote to the Director General of Education proposing the Queensland Department of Education secure the property. To our surprise they said yes and Maroon Outdoor Education Centre (MOEC) was born in 1975, making it the first dedicated OE Centre in Queensland. Previously there was Tallebudgera down the coast but it was more a national fitness holiday camp that the Department used. “I was on a learning curve at Maroon regarding canoeing, sailing and rock climbing, however I’ve never been a fan of ropes courses, thinking them rather ‘artificial’ as then the environment is not the challenge, just the backdrop. 3. Establishing the Australian Schools Orienteering Championships, with OA and School Sport Australia. “We were a scouting family. My dad was the first scout leader at Morningside but because of a back injury in a car accident gave it away. Sadly, we never got to go on any hikes together. I went through Cub scouts and Scout troop hikes and camps. During the war years we used to wander a lot around the suburbs and out to the bush at Seven Hills on our bikes. “I found growing up, the more I went bushwalking the more I loved it. From age 10 I was very interested in maps and landscape aesthetics. When I was at Churchie, a group of us went and spent a week at Lamington, Binna Burra and from there I developed a passion for the scenic rim. “A man must learn to endure agony, to endure and endure again, until the agony itself is beaten out into joy.” Robert Falcon Scott. (I, like most others, cannot live up to that). “Back in the 1980s the Commonwealth government charged the states with protecting their state forest, national parks and conservation reserves. This included some guarantees that certain state forests remain as logging enterprises and plantation forests for the timber industry. Outside of that, the areas that were protected had to become national parks and conservation reserves. A lot of groups using the state forests felt our recreation interests were threatened. I was there (in a consulting group) representing orienteering and bushwalking. “In orienteering many of our events were held in states forests but off track. Scouts were in a similar situation as they would navigate routes through the forests and find a suitable camp spot. If these state parks became a national park we would be confined to running our activities only on the tracks. There were a number of areas in greater Brisbane that we were concerned about, in particular Bunyaville and Daisy Hill and others further afield like Mount Walsh and Mount Crompton. QORF was able to establish itself as a representative body for the outdoor recreation and outdoor education industries. We were able to get in the government’s ear to promote and campaign for recreational access to national parks. Orienteering can still get a permit to use state forests and national parks, but very few. A stronger voice in protecting environmental values. Being alert to opportunities to have a say on outdoor issues. Listen to your members, take up their environmentally sound causes without fear or favour. QORF’s Motto is Live Life Outdoors. How do you do that? “Through orienteering, mapping, coaching, course setting and competing, though I can’t really run anymore I just go round the short 4km course. “Carnarvon Ranges, such a special place scenically and culturally, because of the indigenous heritage (Garinbal and Bidjara country) in the area. An excavation at Kenniff Cave in the Mt. Moffatt section of the National Park by Professor John Mulvaney revealed a period of occupation dating back 19,500 years – an extraordinary length of time for one cultural group. As well, the area’s bio diversity, flora, rock spires and arches make it a special place. “My favourite spire has to be Mt. Mooloolong in the KaKa Mundi section, but there is also Lot’s Wife in the Mt. Moffatt area, The Sentinel, the Three Sisters in Salvator Rosa, and The Candlesticks in Lonesome National Park; while every visitor is sure to remember Goothalanda, The Devil’s Signpost, that tall rock statue that salutes you from the cuesta ridge as you enter or leave Carnarvon Gorge on O’Briens Causeway.